The incident occurred at Linenhall Street in an apartment block at around 2.45pm this afternoon. 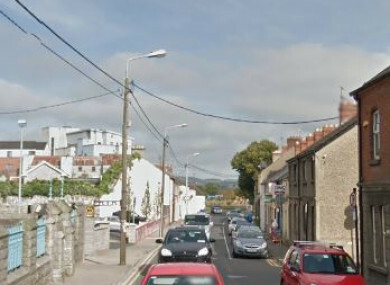 The 31-year-old was seriously injured and was taken to Our Lady of Lourdes Hospital in Drogheda. The scene has been preserved for a technical and forensic examination. An incident room has been established at Dundalk Garda Station. The office of the state pathologist and coroner have been notified. A 48-year-old has been arrested in connection with the investigation. He is currently being detained under Section 4 of the Criminal Justice Act 1984 at Dundalk Garda Station. Gardaí are urgently appealing for any witnesses or anyone with information to come forward. They are appealing to any drivers who may have dash cam footage to contact the incident room at Dundalk Garda Station on 042 938 8400, the Garda Confidential Line on 1800 666 111, or any garda station. Email “Gardaí appeal for witnesses after woman (30s) dies in Dundalk stabbing incident”. Feedback on “Gardaí appeal for witnesses after woman (30s) dies in Dundalk stabbing incident”.